Carl Gustaf von Zievers was born in 1771 and was owner of Cesis Castle manor estate. In 1832 he established the Castle Park creating a tranquil landscape setting incorporating the castle ruins, streams and bridges. In 1908, Carl’s son Emanuel had the above bronze bust placed upon a podium paying tribute to his father’s creation. 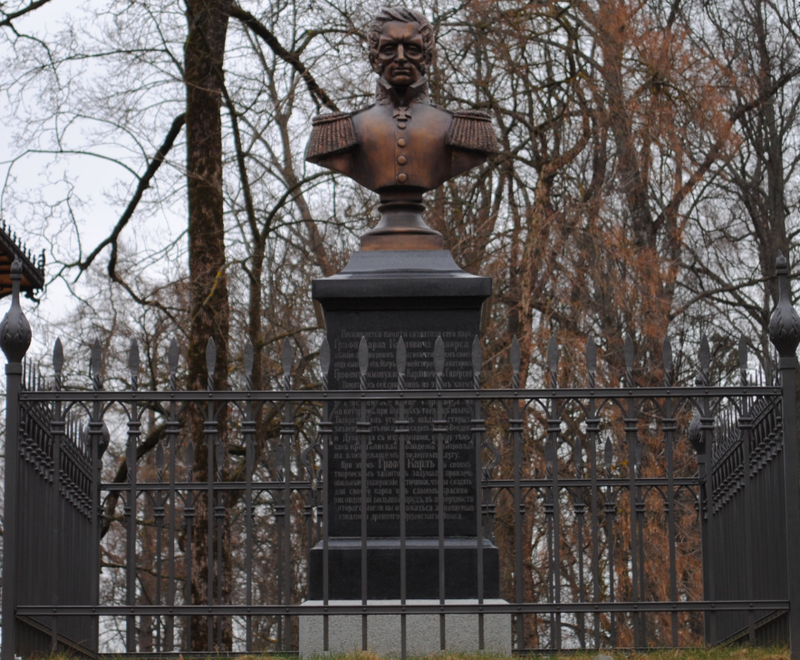 The bust is located on Carl Hill in the castle park grounds.